Want to bring your inner artists outside by doing some fun filled photo editing? Photo effects software is a program developed for all your photo editing need. There is numerous photo effects software available online for free. All these software come with a unique set of features that let you give your photographs amazing results in just seconds. With these kinds of software, you can add exciting effects and filters to your graphics. Several softwares come with advanced features as well that enable you to combine two or more graphics or photographs as well. Below are some of the most popular free photo effects software that you can try for your photo customization requirements. 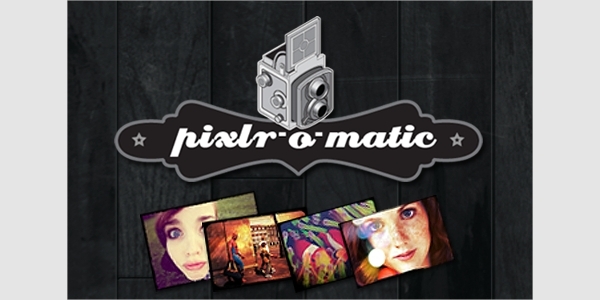 Pixler-o-matic is a free photo effects software that lets you add advanced retro effects thus helping to transform your photos and graphics to attractive and vintage photographs. It helps you to effectively filter, fix and alter images in seconds. 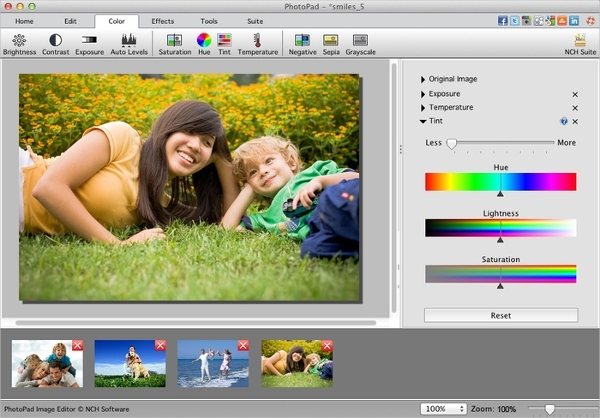 Download this free software and bring more fun to your image editing. 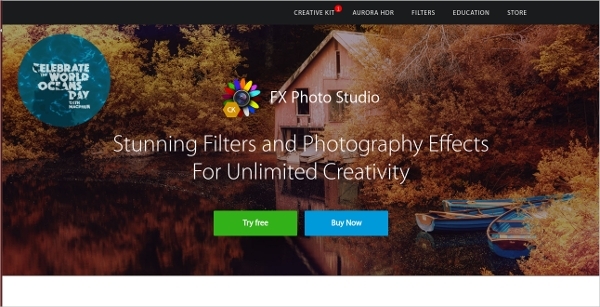 FX Photo Studio is another photo effects freeware that offers you over 200 amazing photo effects and filters, cool splash effect, 3D effects, stylish frames, borders, paining and pencil effects and many more. With all such amazing features you can completely make you photo editing fun filled and awesome. It also lets you share your edited photos on social media platforms. PhotoPad is another amazing easy to use digital photo editing software that enables you to edit your photographs and add exciting effects. This tool supports all major image formats. With this you can easily crop, rotate, flip and resize images quickly. It is ideal to be used by professional photographers as well as any kind of user to edit personal photos. PhotoChances Lab is a photo effects software program developed to help you in giving some exciting effects to your images. 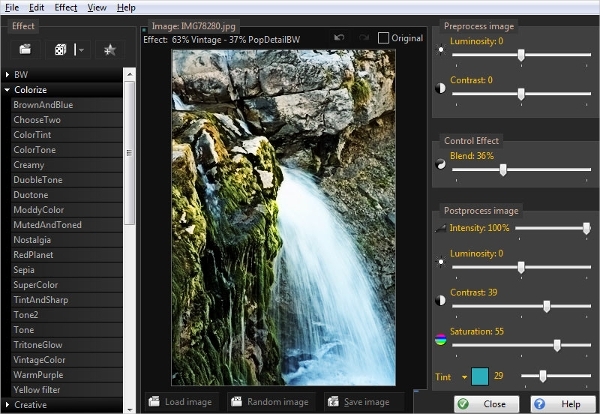 It consists of easy drag and drop interface where you drag and drop your images to add some advance effects to them. The basic requirement of this software is 2GB RAM and is supported by windows XP, Vista, 7 and 8. 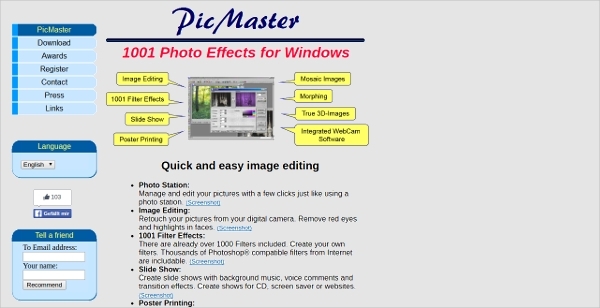 Pic Master is a wonderful photo editing software tool that gives you an easy and quick image editing way with which you can transform your images with awesome effects. 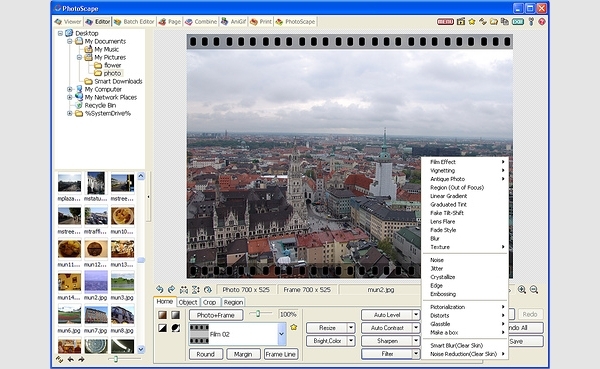 This software acts as a photo station where you can manage and edit your images in just a few clicks. It offers over 1000 image effects, slide shows, poster printing, morphing, 3D image effects and more thus giving you a high tech image editing experience. Pho.to Lab is one of the most popular photo effects application used by over 30 million users to edit their photos and add outstanding effects. This software offers you over 500 photo effects in single click through which you can intensify your photographs quickly and effectively. Download this application for free and start editing your images instantly. 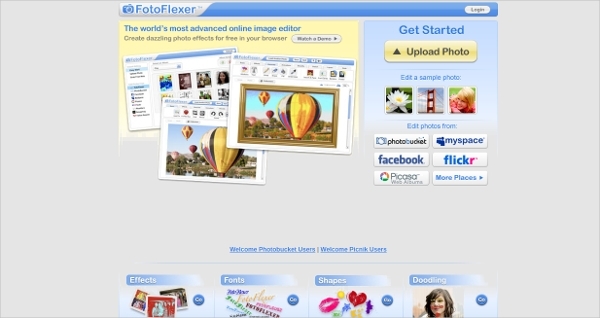 FotoFlexer is an advance online photo effects tool that lets you give hundreds of great effects to your images online. It enables you to create dazzling photo effects in your browser by simply uploading your photographs quickly. 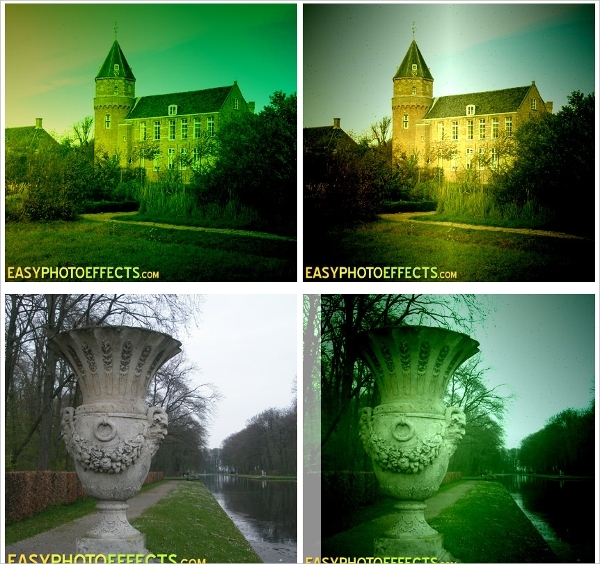 Once you have created the desired photo effect you can download your images instantly. So try this amazing easy to use online tool for editing your photographs. BeFunky is an amazing photo effects tool online that helps you give cool and funky effects to your graphics and photographs. 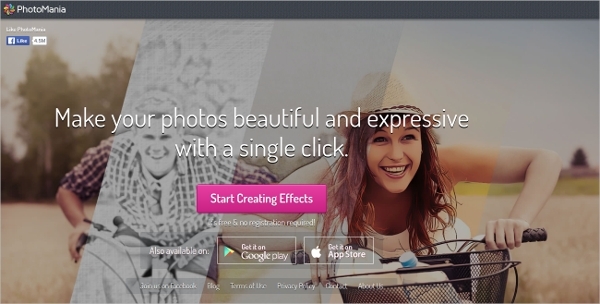 This online tool comes with over 300 photo effects and filters thus helping you create unlimited photo effects and come out with your won signature photo style. You can make collage and add exciting frames to your photographs without any hassle. 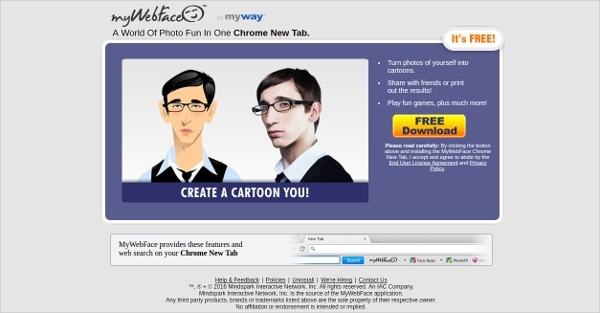 MyWebFace is an amazing photo effects android app that lets you add advanced and exciting effects to your photographs and give the desired looks. 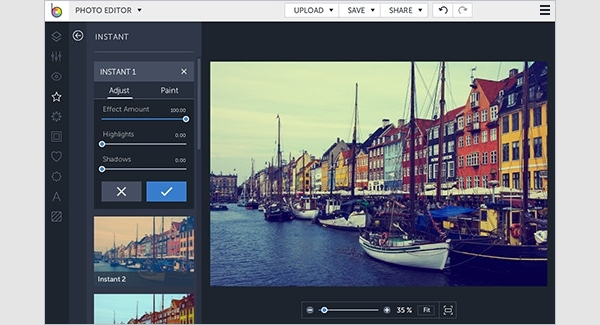 It also enables you to make edits in the photo properties like size, color effects and more. This app is available online for download for free. So get this application downloaded and enjoy quick photo editing easily. 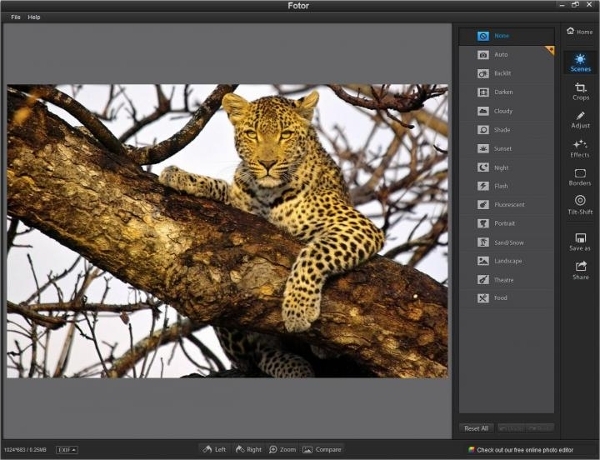 Fotor is an online high dynamic range (HDR) photo effects software tool that has capability to take you 3 different photos in different exposures and then combine all the three into single photographs with best tone and light effects. This online tool incorporates ghost reduction and photo alignment technology that increase the accuracy of the photos to a larger extent. What is Photo Effects Software? Whether you are a professional photographer, a graphic designer or a fun loving person, editing images or photographs and adding effects to these are the basic needs of everyone. The default programs in your computer and mobile devices come with limited functionalities and editing options and as a result, you can’t give your photos the desired effect. Photo effects software programs have been designed to help you in this area. You can easily find Photo effects or photo editing software online for free that help you add amazing effects, frames, colors, and styles to your photos, images and artwork and give the desired look to them. Some of the photo editing programs even come with advanced features offering 3D effects, contract setting, red-eye removal, blemish removal, slideshow effects and much more. So download any of the photo effects software online and transform your images and various graphics beautifully the way you want. Installation of any photo effects software is quite easy. Every photo editing software offers complete installation manual that offers the detailed procedure to install the software along with all the prerequisites that your system need to have before successful installation. Download photo effects software online and open the set up to initiate the installation process. Read the instruction carefully and then start installation process by following step by step procedure. Once you have finished installation you can immediately start using the software. There are numerous options for these softwares to choose from. You can also consider any of the above-mentioned software as these are one of the best-rated photo effects free software. Multiple Photo Effect Options – All of the photo effects software come with hundreds of photo effect options from which you can choose the one you want your photo to look like. All the effects intensify the originality of your images thus making them look more elegant and interactive. Easy And Quick Effects – All the photo editing software come with highly easy to use interface and thus make adding effects to your images highly easy, quick and convenient. You probably would need a few clicks to complete giving desired effects to your images. 3D Effects – Some of the photo effects software also allow you to give 3D effects to your graphics and images thus making them responsive by adding quality to their tone, light and rendering technique. Slideshow – Some other photo effects software are there which let you create slideshows of your multiple images or even combine two or three images together to form a collage or one single photograph. 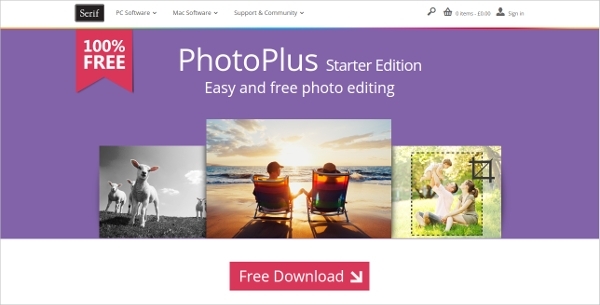 Serif PhotoPlus Starter Edition is a powerful and 100% free photo editing software that lets you add exciting effects to your photographs. Its features include, easy import of your photographs, redeye and blemish removal, simple tools to turn your photos to artwork, old photo restoration and many more. 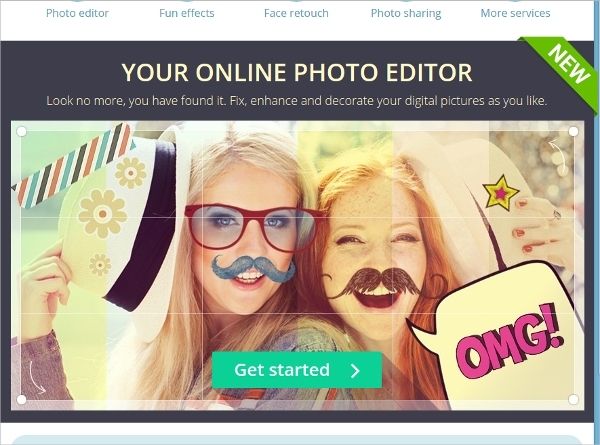 So get this amazing tool downloaded and start editing your photos. Aviary is a powerful photo editor app for android that offers you a quick and easy way to edit your photographs. This app carried single tap auto enhance, fun stickers, color balance, color splash, color temperature, ability to create own memes, drag and drop toolbox customization, adjust brightness, contrast and much more. Download this app for free and start editing your photos on your Android phone. PhotoScape X is an awesome photo editor software for Mac that comes with a wide range of editing features with which you can enhance your photos and images. It lets you rotate, resize, crop, color, straighten, set color temperature, auto contract, backlight correction and set size of your photograph to make it as per your desire. You can download and use this software for your Mac system for free. In addition to above listed top photo effects software, you can also try various other software available. Like for Windows and Mac you can try Picasa, On1 Perfect Effects 9 Free, GIMP, and PhotoScape. 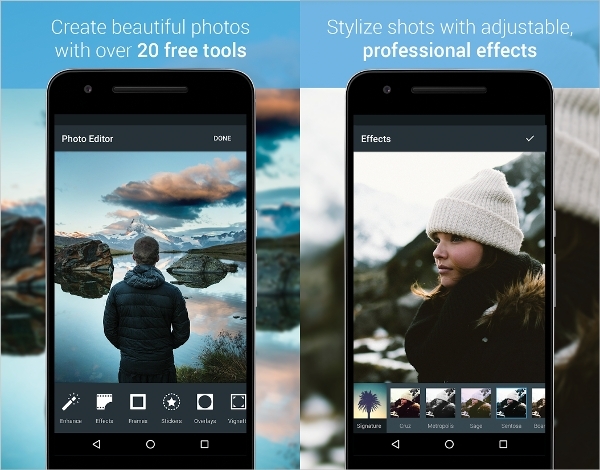 Also for various Android devices, you can try Photo Editor, Snapseed, AirBrush-Best Selfie Editor and QuickPic Gallery. All these software are amongst most popular software and will give you the best photo editing experience. 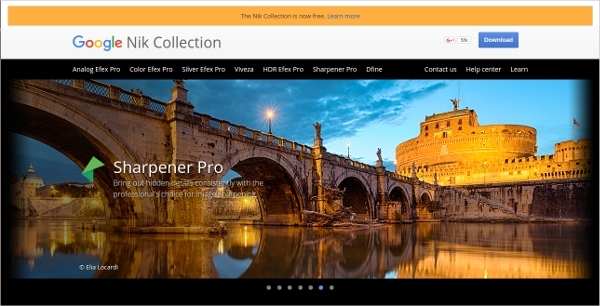 The Nik Collection is one of the best photo edition software for 2016 which is offered by Google. Along with letting you edit your images and add certain effects to them this tool also lets you create your images according to your imagination using powerful plugins like Lightroom, Photoshop, and Aperture. It lets you easily give touch ups in just a few seconds. Download this software and try for free.